It looks like this winter is going to be a long one. We have already had a couple of snow days so far and the temperatures keep dropping! So what do you do with all those unexpected snow days? A craft of course! 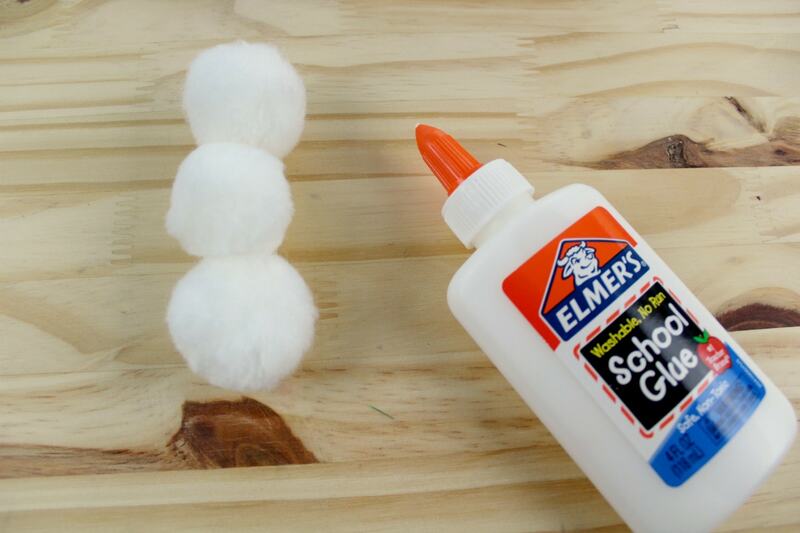 The winter reminds us of hot cocoa and building snowmen, so I thought making easy snowman crafts for kids would be a fun project to tackle when the kids are snowed in! 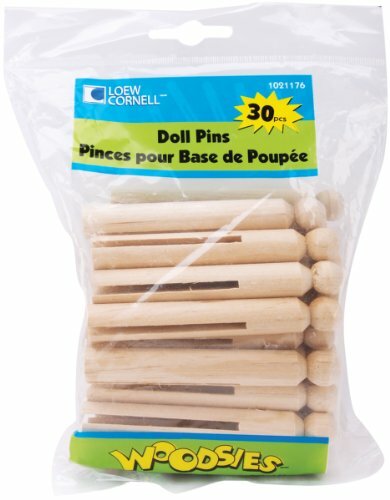 As a teacher, I found that my most popular crafts during the winter time were to make paper snowflakes and pom pom snowmen. 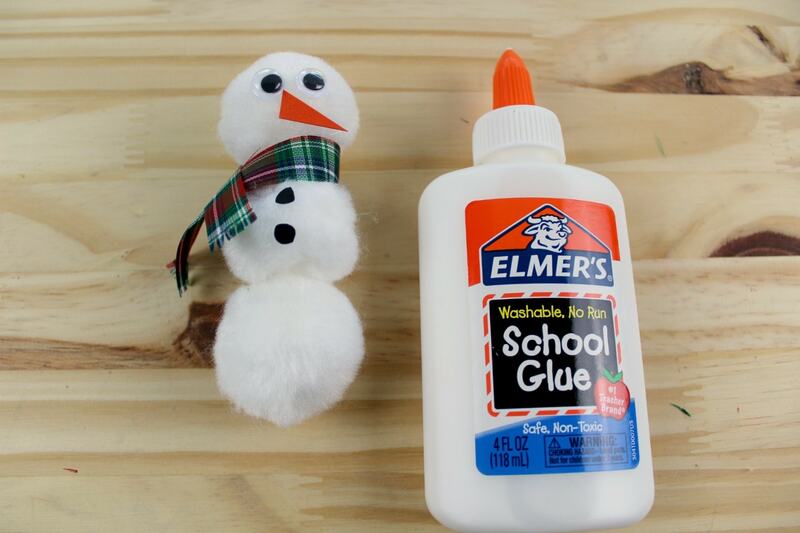 This particular magnet craft is a perfect preschool snowman craft and can hold up the kid’s artwork on the side of the fridge! 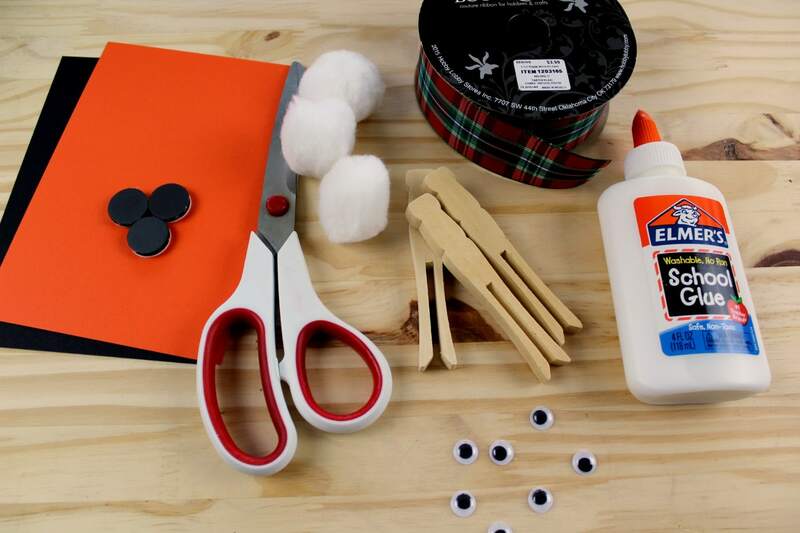 This craft is super easy and you probably have everything you need already in your crafting space. 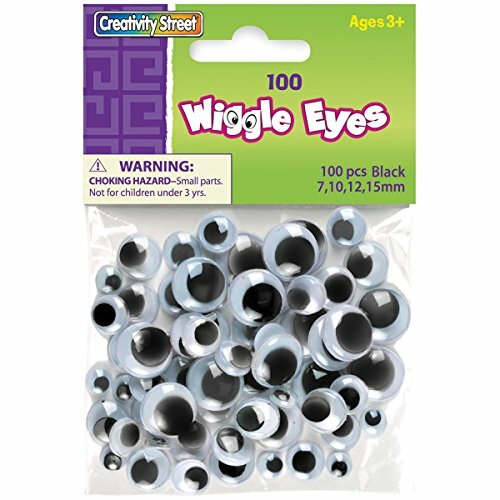 My kids are contently finding ways to use the googly eyes so we keep many many different sizes on hand. 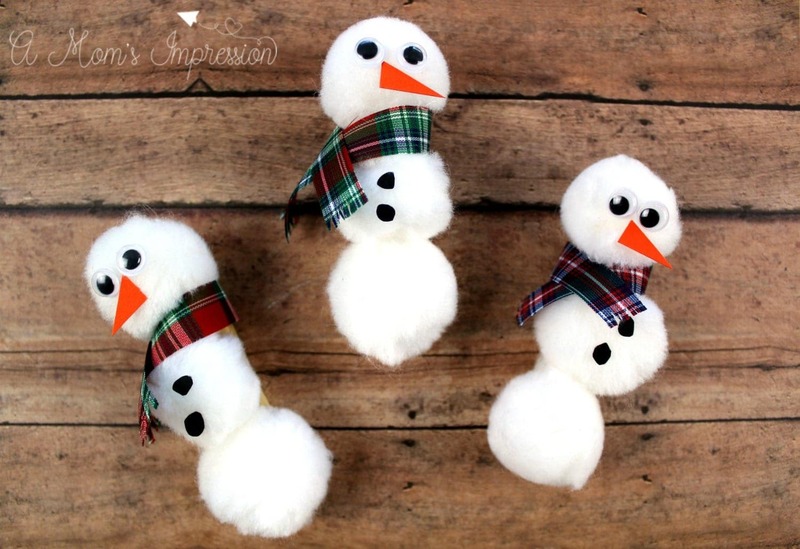 You can experiment with different sizes of clothespins and pom poms to make your snowmen. The concept is still the same. 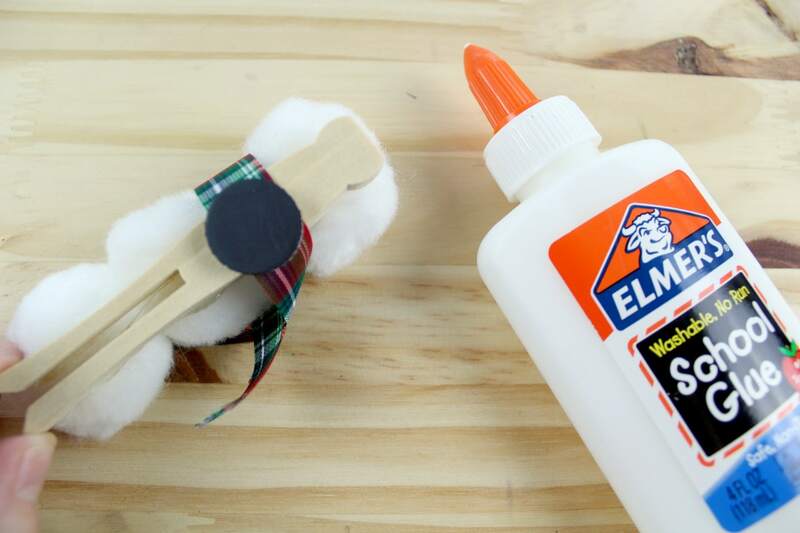 Glue three white pom poms to the front of a clothespin. Allow glue to dry completely. Cut a strip from the plaid ribbon. Wrap around the top pom pom and glue in place. Use scissors to fringe the ends of the ribbon. 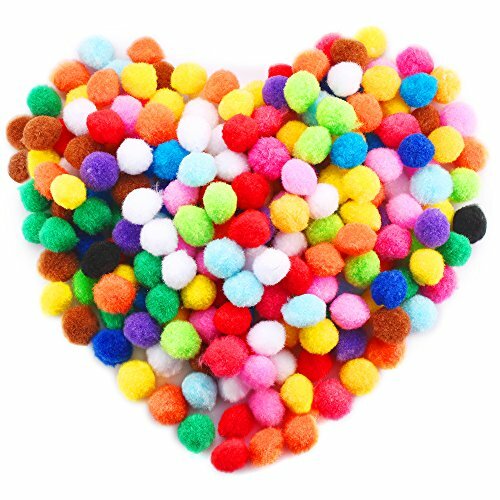 Cut small circles from black cardstock and glue them to the middle pom pom. 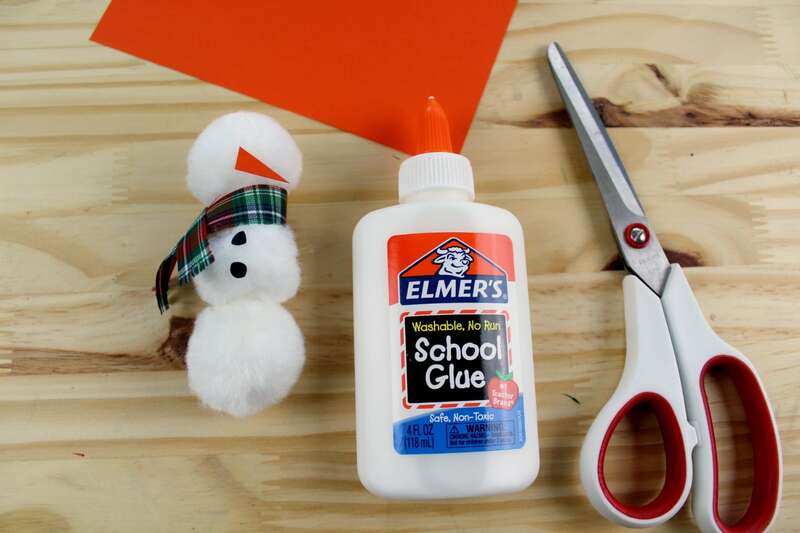 Cut a carrot from orange cardstock and glue onto the top pom pom. 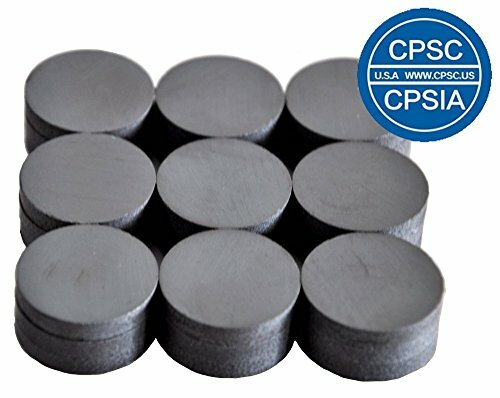 Turn clothespin over and glue a magnet onto the back. Allow glue to dry completely. 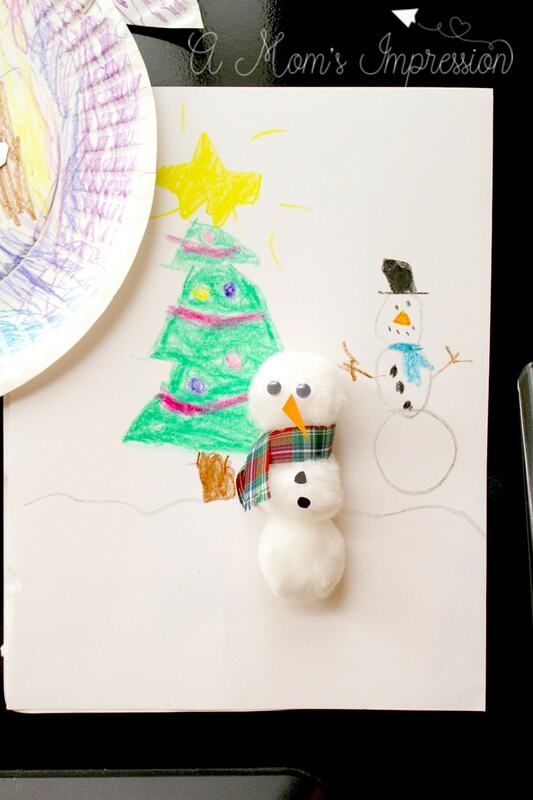 Your Snowman magnet is finished and ready to display your kids holiday art! For more winter fun be sure to check out our Winter Kids Craft Ideas and Indoor and Outdoor Kid Winter Activities!